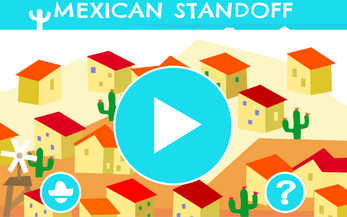 Enjoy a Mexican-standoff simulation! 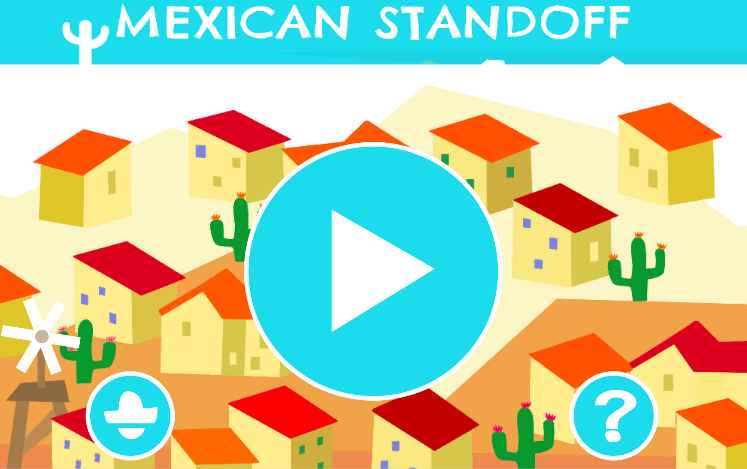 This is a Mexican standoff in a literal sense implying subtle moral choices. The game has plenty of drama and tequila, a dedicated soundtrack and teaches important although basic elements of graph theory and ballistics. Inhabitants of a stereotypical Mexican pueblo are equipped with guns and stuck in a scary mutual-threat scenario. What do they do now? 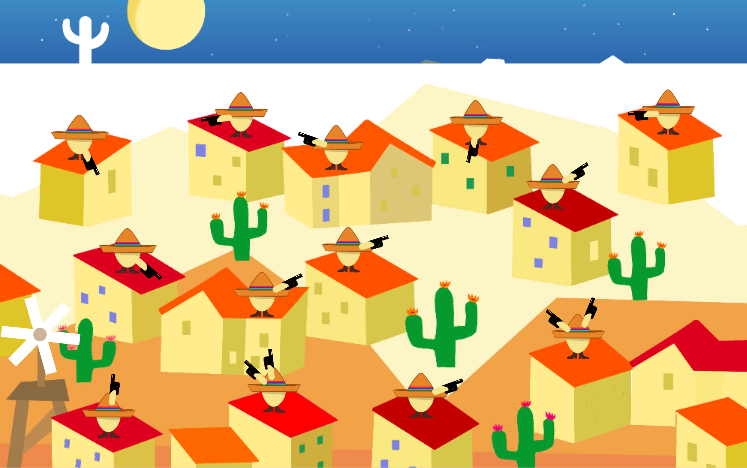 Each time you manage to resolve the standoff you will be presented with a harder case until all cactus flowers have blossomed and tequila can be served. 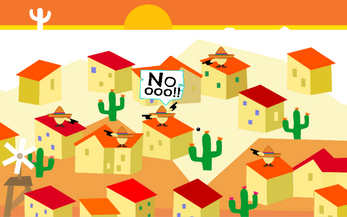 This game was created in Milan for the Global Game Jam 2015 and only slightly improved for publication in 2016.